Whether its understated elegance or all out glamour, my goal is to make your ideal makeup look come to life. I combine both classic and trending makeup techniques to achieve my timeless and natural signature style that is perfect for any special occasion. Creating a radiant and unique makeup look for your wedding day is something that I pride myself on. My bridal makeup is exceptionally flawless and super long lasting, as is the impression it leaves on others! 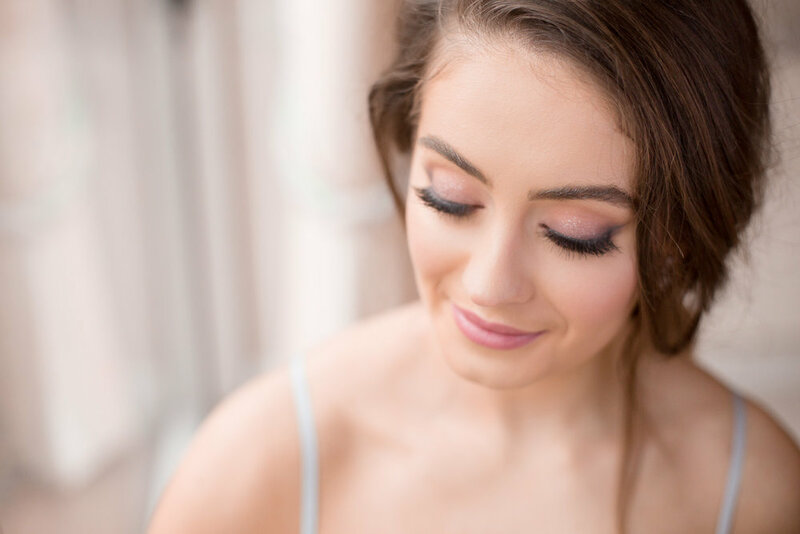 My party makeup is an ultra flattering, matchless makeover for bridesmaids, family members and individuals seeking to truly stand out in any celebration. Since 2015 I have been providing personal makeup classes to help women improve their ability to apply makeup on themselves. My classes have been popular with both makeup enthusiasts as well as those completely new to the makeup scene. I currently offer one-to-one and group classes. For more information on my services please view the pricing guide. My aim is to make my client look and feel like the most beautiful version of themselves. I have studied makeup in a way that people would study science; for me, it is more than just a job, it’s a work of art and I’m not satisfied unless I create a masterpiece. My style of makeup is natural, elegant and sophisticated and it goes without saying that I pride myself on quality and originality. If my work and values speak to you, I would love to hear more from you about your special day! Do you offer any concessions for your makeup services? My prices for party makeup and bridal makeup are fixed. However, I offer a £50 discount to brides who book me for two bridal events and a £100 discount if booked for three bridal events. Do you offer hairstyling and hijab setting services? I no longer offer hairstyling myself but work closely with Birmingham-based hairstylists. To enquire after their availability, please provide me with the details of your booking requirements (number of people requiring hairstyling, type of hairstyles required and timings of the booking). For bookings outside of the Midlands, most clients are happy to book a separate hairstylist though I’m happy to make recommendations. Depending on your requirements, I can provide hijab styling services, please get in touch for a specific quote. I use a variety of popular high-quality makeup brands, a few of which include: Makeup Forever, NARS, MAC, Bobbi Brown, Anastasia Beverly Hills, Benefit, Tarte, Laura Mercier, Chanel, Tom Ford and Charlotte Tilbury. How long does it take for you to do makeup? Party makeup: These typically take around one hour per person. Bridal makeup: I require a 3-hour window for bridal makeup bookings in order to ensure a relaxing and enjoyable experience for my bride. How long does your makeup last? I make it my mission to ensure my client’s makeup does not just remain in tact, but fresh and glowing throughout the day. Prior to commencing makeup application, I do a skin consultation with every client which allows me prepare and prime the skin appropriately. My method and makeup application technique provides a long lasting look. I have had many clients message me after a booking to tell me how fresh their makeup has remained throughout the day. Would you consider doing both the bridal makeup and wedding photography for the same event? My husband and I work together when photographing large events such as weddings. If you are interested in both my makeup and photography services please fill in the contact form and I’ll see if I cancater to your needs. I don’t want a heavy bridal makeup look; can I book you for party makeup instead? Bridal makeup is a very specialist art and can be differentiated from party makeup through its uniqueness and the attention to detail. The meticulous nature of bridal makeup application makes it a very time consuming and delicate process that requires great focus and diligence. Whether opting for a natural or glamorous bridal makeup look, the processes, products and techniques used are exactly the same and therefore take just as long (i.e. 3 hours). My bridal makeup service is a worthwhile investment if you value excellent quality and are seeking a custom high-end experience with a makeup artist who respects the great responsibility of getting a bride ready! Do you travel for bookings or do I have to come to you? Although I have a studio in Birmingham, I am a mobile makeup artist and I travel out to my clients for bookings. Some local clients may find it easier to get ready in my studio, so I am happy to accommodate for this also. I regularly travel to other cities, including London, for bookings so long as my travel (and accommodation costs, if applicable) are covered. For a specific quote, please provide a postcode for the venue/ location you will require me to get you ready in the contact form. 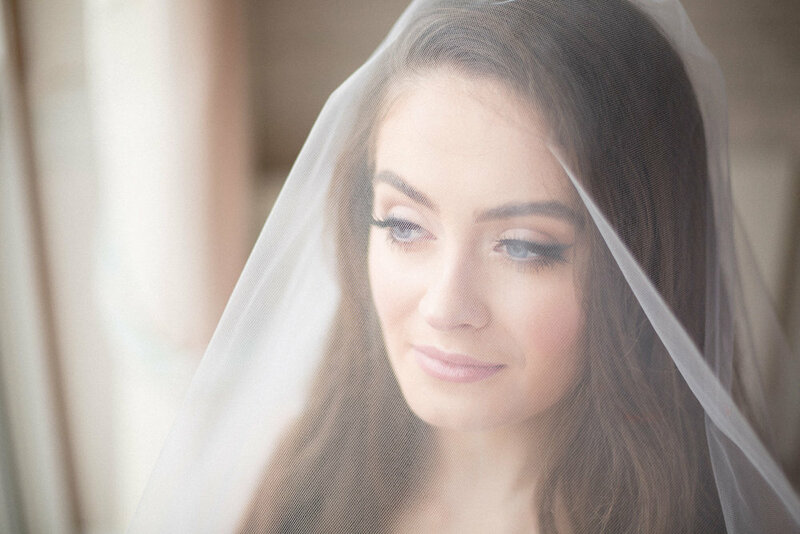 Bridal makeup trials usually take place in my studio in Birmingham, but I also offer trials in Reading for those who find it more convenient to travel there. For party makeup bookings, I only travel out for bookings of 4 or more people. How do I book you for an event? I require a £100 deposit to secure a bridal makeup booking and a £50 deposit to secure a party makeup booking. The remainder of the payment must be made prior to or on the date of the event. I’d like to become a makeup artist. Do you provide training courses? Unfortunately I do not provide courses to train up makeup artists, but the makeup industry offers many such courses for anyone who is interested. I do however offer individually tailored makeup classes for people who want to enhance their personal makeup skills. What is the minimum/ maximum number of people per booking? Party Makeup: I only travel out for party makeup bookings of 4 or more people. Group party makeup bookings are limited to 6 people. Henna was an absolute pleasure to work with. I was an extremely stressed and emotional bride and Henna's calm and focused approach did my nerves wonders. After the pre-wedding trial I had with Henna, I knew that I no longer had to worry about my make up, and as promised, the make up on my wedding day was stunning. The detail and precision with which she applies every bit makes for an immaculate finish. It even survived a long stream of tears!! Having Henna as my make up artist is a decision I have never looked back on. Henna was very friendly and lovely, which made me feel at ease. On the day of the event, I was feeling nervous as you do but Henna calmed me down with her bubbly personality- it was as if I had known her for years! I loved my makeup and I was continuously complimented on the day of the event, even now looking back at the pictures I can still say I'm really happy with her work. She took on board everything I wanted and gave me the look I had hoped for. Henna also did my mendhi which came out dark and was neat and full of detail. She's very creative with many talents. Will definitely be using her again! Henna was the most professional make-up artist I had for my wedding events. She transformed me for my engagement party. The whole evening I was told how amazing my make-up looked. The event finished very late and the make-up did not move one bit - I needed no top ups (not even lippy!). The make-up in photos afterwards made me look flawless and I had a natural glow to my skin. She is an amazing artist who will not leave any bride leave without achieving perfection! "I recently got married and was fortunate to have both my mendhi and wedding day make up done by Henna. A close friend of mine recommended Henna to me when I was struggling to find a make up artist who would be able to do my makeup as well as hijab and dupatta styling. I spoke with Henna and she was very friendly and welcoming. To begin with she got back to me straight away and was very humble. I had a trial for me wedding day make up two weeks before the big day and Henna gave me a full feeling of what the makeup would feel and look like on the day. I got so many compliments on my mendhi and wedding day and have not one regret for the make up artist I chose for both my functions. The make up style was completely different on both days and complimented both outfits very well. I had an amazing experience and would definitely recommend Henna to anyone looking for a make up artist who is down to earth!" 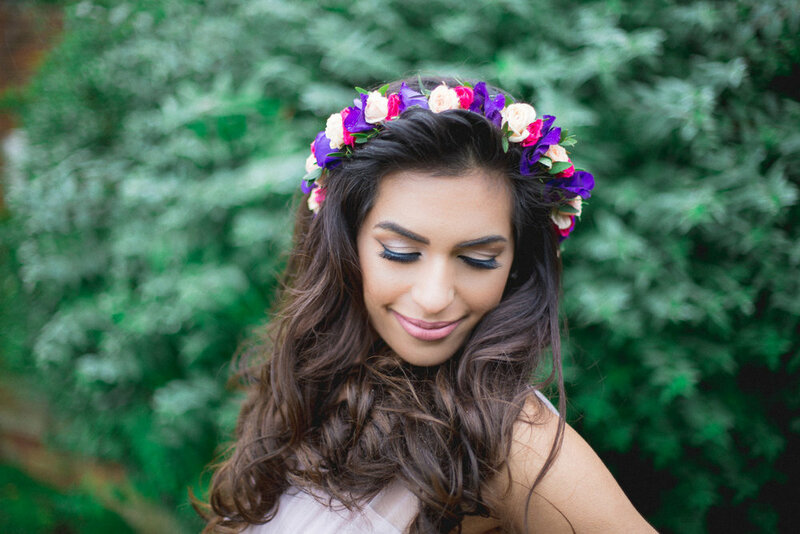 "Booked a private make up class with Henna and what a brilliant investment it was. Henna talked me through the theory and then taught me how to put the theory into practice. The results were spectacular!! I now understand my face a lot better this has helped boost my confidence immensely. A big thank you to Henna. What an absolute gem you are! Would HIGHLY recommend to all. X"